Awesome! Love the addition of the acetate base! What a great card and stamp set! I really like your coloring of the cowbell and the sentiments you used; the starry acetate is the perfect background. This set is perfect for masculine cards like yours. I LOVE the starry acetate! So fun! Love your starry acetate background! 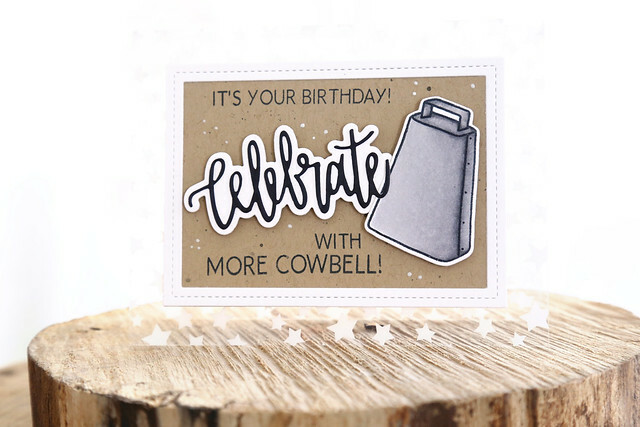 Great design with your Celebrate and cowbell front and center. What a great, fun card. The starry acetate background really adds an extra special effect. Very fun--I like how you colored the cow bell. Great coloring of the cowbell! This is the perfect way to showcase this great new set! Love your card. A great masculine card for sure, Elena! Wonderful masculine card...love that acetate base. Awesome card! Love the addition of the die-cut sentiment! What a fantastic CAS card!! Love the kraft and that cowbell!! Great colouring on the cowbell! That cowbell is colored perfectly! 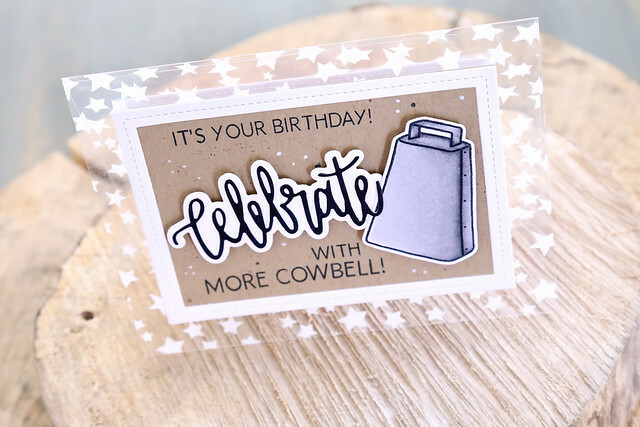 LOVE your cowbell card!! So fun and cute!